Over the past decade he has recorded and released several solo and collaborative albums, including: GT’s Ethiopium: A Jitter Generation Mixtape, Children of The Dragon, Air 2 A Bird, Colored People’s Time Machine, Evidence of Things Not Seen and Copper Wire. In addition to making music and traveling the world putting on concerts, Teodros works with local youth and is passionate about writing. In 2015 his short story “Lalibela” was published in Octavia’s Brood, a groundbreaking anthology of science fiction for social change. Though this album is technically a solo endeavor, it includes contributions from several prominent Southend talents: Otieno Terry, Meklit, El Dia, Julie C, Khingz, Essam, Shakiah, Rell Be Free, Matt Remle, “KO” Nikkita Oliver, Mikaela Romero, and Moka Only. It’s an album about healing from trauma and the cycles of violence and oppression that many of us in the southend experience daily. It’s raw, nuanced, and more personal than political, but has some hefty commentary on the systems that continue to rain trauma on people of color. 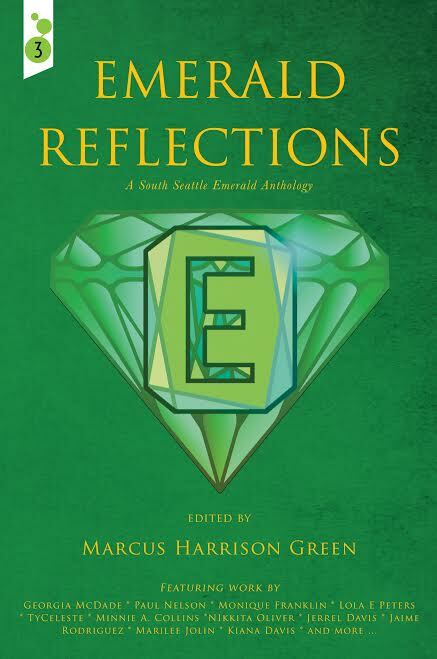 Rather than review it, the South Seattle Emerald would like to give the artist a platform to speak about his own work. Reagan Jackson: Tell us about this album. Gabriel Teodros: History Rhymes if it Doesn’t Repeat (A Southend Healing Ritual). I did the whole album in the month of August and a little bit of September. It’s my first album in four years and it’s my most vulnerable work, the first song in particular. I have been writing and rewriting some version of that song for years. None of the lyrics that you heard, but the topic plagued my writing for the last couple of years. I would try to write about something and just keep coming back to this one subject, because it was my trauma. Once I got through that song, it felt like such a breakthrough. Like, wow, I got that down, now I’m free to talk about everything else. The entire album is about healing from trauma. RJ: So “First Cut” is maybe one of the first songs I’ve ever heard that addresses intimate abuse from the perspective of a male survivor. What was it like to write? GT: Liberating, because it’s something that I’ve lived with for years. And scary. I’m still scared that it’s out there a little bit. I was very careful to keep things anonymous. It’s very important to me. I didn’t want to make it about this other person, because it’s truly not. It’s about my experience and my own healing. RJ: How do you feel like music has helped you to heal? GT: It gave me a safe space to talk about everything in life. It’s my therapy. I don’t know how I would navigate the world as a human being without music at this point. I’m sure other people have different things. I hope everyone has a safe outlet for exploring and excavating the trauma from our bodies, because when we hold it in, it festers and we tend to recreate it. That’s what the title means. History rhymes if it doesn’t repeat. I kind of thought of it as a pun as well, because in hip-hop we rhyme, so if my history doesn’t rhyme then it’s a concern that I will repeat it. But yeah, it’s saved my life in more ways than I could count. I don’t think I’d be on this planet without music. I’ve also known this is what I wanted to do since I was 15 years old. I’m 37 now. RJ: What have you been doing for the last four years? GT: So much! The last four years I feel like I’ve embraced more of a shadow role in the work I do. In society as artists we tend to get pushed into the spotlight like all the time. And we often get credit for things we didn’t do, and sometimes not credit for things that we did do, and it can be a very dehumanizing place. I talked about that on my last album, because once you’re in the public eye to a certain extent, many people see you as better than human. And then when they realize you are just a human, then you become less than human. So I don’t know another word for celebrity other than “dehumanizing” at this point. In the last four years, I’ve definitely found a lot of freedom in working from the shadows. I’ve found that I can be more impactful doing work behind the scenes, like putting on block parties and all kinds of different stuff that I don’t need to illustrate right now. But I’ve been doing that and it’s been grounding and truly humbling and has been helping me grow as a human being day-by-day by just restoring good connections to people. And a lot of those people are on the album. There’s a lot of artists that I record in the neighborhood; it’s something I’ve always done, actually. Because of Moka Only, who produced the album and was one of my first mentors. When I was 19 years old, he kind of took me under his wing and showed me what it was like to have a home studio and how to do all this stuff independently. He was the first person to put me on vinyl before I even had an album really. And because of Moka, once I got access to a home studio and eventually got my own home studio, I’ve always strived to pay that forward. There’s a ton of artists now who have recorded their first albums with me. RJ: What is your hope for this album? GT: At 37 years old, doing independent hip-hop music, I think my goals have definitely changed. I don’t care too much about performing it or going on tour or any of the things you’re supposed to do to promote an album. I honestly just made the album to heal and I wanted to get it out just because it’s part of my process, and I don’t make the music for myself alone. I feel like it can be healing for other people as well. I don’t know. In a way, it’s already a success one week after being released and with no press until right now. I’m open to whatever comes with it, and I’m excited to get back to work. When I finished the album, I was actually sad that it was done, because it just felt so good to work on. I’m not going to make people wait this long for the next record. RJ: “Continuum” is my favorite song off this album. Do you have a favorite? RJ: What do you think is the healing ritual the Southend needs right now? GT: That’s a big question. I don’t know if I have the answer for that. I’m not even going to try because that’s huge. There are so many different communities that make up the Southend and all of our communities have got issues and every person in the community has got issues. I read this book while I was recording the album, kind of right before, called The Body Keeps The Score. That book really inspired this album in a lot of ways. I love how in the epilogue of the book, he [author Bessel Van Der Kolk] talks about healing from trauma and how it’s not enough to go to therapy, take medication, and do all these things that western medicine prescribes. To really heal trauma we have to work to tear down the systems that create trauma before these things even occur. RJ: So a while back you published a story in Octavia’s Brood and I’m wondering how your relationship to sci-fi has influenced your creation as a musician? GT: After Octavia’s Brood, I went to Clarion West. I wrote “Lalibela” in Octavia’s Brood not knowing how to write a sci-fi story, and then I went to Clarion West to learn how to write a story. With this album … I don’t know if I accomplished it … but what I was thinking of was approaching the entire album like a story with a beginning, a middle and an end, with the main character as me. There was this traumatic thing that happens, and I end up in a different place than where I started through all these different concepts and relationships that you hear on the album. I conceived the album that way, and I collected all the beats before I wrote any lyrics, which is something I’ve never done before. I even selected guests for the beats months before we wrote. And once I had the bones of this story in my head, when we actually got down and started writing the songs, improvisation happened and songs went different directions and the song order got switched around a couple of times. I still think there’s a clear character arc from “First Cut” to “Thankful You’re Still Here.” I’m definitely in a different place in the last three songs than I was at the start of the album. I’m not sure how clear I was on how to write a character arc before this album. RJ: What is something that you want Emerald readers to know about this work and what you plan on doing next? GT: I want them to know that this album features some of the best artists that South Seattle has to offer, not just in skill, but almost everyone on the album also works with youth. They do incredible work in the community. Everyone from Shakiah, who also works with Northwest Tap Connection and works with youth in other ways, to Nikkita Oliver, who works with youth at Creative Justice, to Essam who works with the Muslim Writer’s Collective, to Rell Be Free, who does work at Rainier Beach High School and with WABLOC (Washington Building Leaders of Change), and Khingz, who was working with TSB (The Service Board) years ago and still is a mentor to a lot of people here, and Julie-C, who works with ACED (Artist Coalition for Equitable Development). It’s an incredibly inspiring community that we’re all blessed to be a part of, and I was very intentional about every guest on the album. For one, these are the people that just hold me up in life. I mean that’s ultimately what it is. But I guess to your earlier question about how we heal, I don’t think any of us heal alone, and that is something I really wanted to drive home with this album. The only song that I’m truly only on is the “First Cut.” Everything else is a collaboration either in a small or big way. I think that’s really important for everyone to know. Trauma and all the pain and whatever it is you’re going through, it all festers and thrives in isolation. I feel like society and the whole medicine industry especially, teaches us that you’ve got to go through it alone, and that’s so false. We’ll never heal if we go at it alone. I think that’s one of the most important things that South Seattle can get from this album, because it is South Seattle. South Seattle made this album. 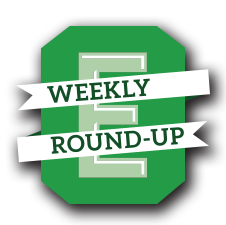 The Emerald is grateful to be the first media outlet granted an interview about this album. It’s now available on your favorite places to get music. And you can hear more from Gabriel Teodros every Friday night (Saturday morning) from 1 AM to 6 AM on KEXP 90.3 FM. To download or listen to Teodros’ album, click here.